ArticlesArticlesWhy Does My House Make Strange Noises? Have you ever sat in a comfortable chair inside your home, with book in hand and suddenly heard a loud “pop” or “crack”? You’re immediately startled and begin wondering what has just happened. Well, now you can relax and take another sip of coffee knowing it’s just the living, breathing, inhaling and exhaling house doing its thing. All houses do it. Some are just quieter than others. 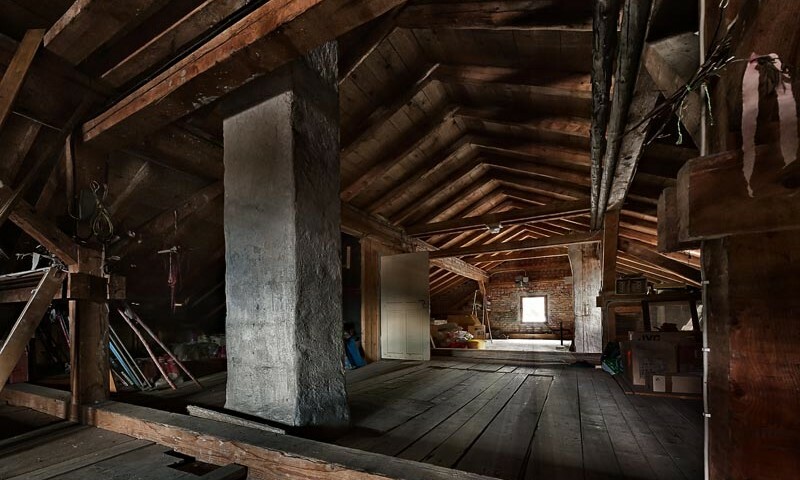 It’s certainly not a poltergeist in the attic! In order to understand the frightening sound, you must understand that it has to do with the fact that a house is a wood-framed structure. A bunch of studs, joists, rafters and wood/drywall sheathing all held together with nails and screws. Wood, by itself, is an interesting material. It expands and contracts in different amounts in relation to the orientation of the wood grain, in direct proportion to changes in wood moisture content. Wood is also hygroscopic, meaning that it tries to reach a moisture-equilibrium with the surrounding atmosphere—either absorbing moisture out of humid air, or off-gassing moisture into very dry air. It does this all throughout the year. Although wood does not have a high degree of thermal expansion, tests conducted by the US Department of the Interior’s Bureau of Mines, back in the 1980s, revealed that wood frame dwellings experience tremendous stress and strain in the exterior wall/ceiling/roof finish, simply as the sun rises in the east and later sets in the west. From the cool, dark, early morning hours, up to the hot afternoon sun, and then on to the cool evening darkness, a wood frame dwelling takes on heat and humidity throughout the day then cools down at night. This changing temperature in conjunction with seasonal changes in humidity, lead to the expansion and contraction of nearly all building materials (many made of wood) that are combined and connected in some shape, form or fashion to create a house. Whenever different materials meet at some joint or connection, and whenever the connections between members becomes severely stressed due to expansion and contraction dimension changes in the intersecting members, there can be a sudden release of stress once the forces generated become too great for the connections (typically nails) to hold. Kind of like tectonic plate movement inside the earth. This sudden movement is what generates a loud pop or crack sound within the home. So next time you’re by yourself and you hear a creak or a pop, don’t reach for the garlic or hide under the bed, just say, “Hello!” back.